You Earned Your Bragging Rights! Last weekend I attended the Go Blog Social conference in Kansas City and watched two days of presentations from some truly amazing entrepreneurs, including our very own CGN Founder. Marcy Twete. All were women, aside from one man, who needs to just say no to public speaking EVER because he managed to offend every demographic group there… but I digress. Back to the story at hand….as typical, each presenter was introduced prior to speaking with a run-down of her career biography. After she took the stage, almost every one of them proceeded to diminish her own accomplishments, and offer some form of, “I’m not really all that” explanation. Why, oh why are we incapable of taking credit for our own accomplishments? Renee Engeln, a psychology professor at Northwestern University in Evanston, Ill., says it has to do with the mixed messages women receive about what behaviors are desirable or acceptable. “[We’re told] love yourself, but not too much. Be confident, but practice a style of humility this culture never requires of men. Believe in yourself, but never admit it out loud, lest you make another woman who doesn’t feel good about herself feel bad. Corinne Moss-Racusin , a Yale associate whose research focuses on reactions to women who behave in non-stereotypical way says, Women and men are equally negative toward women who brag. According to her research, women who brag and self-promote are less liked in the workplace, are seen as less warm, earn less money and are passed over for advancement or suitable positions. The backlash against bragging has real, tangible consequences for hundreds of confident women. It caused me to pause, and ask myself how many times did I judge another women harshly because I thought she ‘bragged’? Too many, I’m sure. Make eye contact and genuinely congratulate the person on her success. Remember when one of us succeeds, we all do. Ask questions and engage her in conversation if appropriate. This high-achiever might make a great mentor. Remember the universe thrives on positive energy, so skip indulging in snarky gossip when your friend starts picking on her. I know these are dreadfully simple things, but we need to help re-educate others and ourselves without adding ANY complexity. So, step right up! 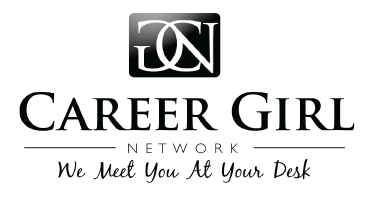 Come on Career Girls, we want to know! What’s your biggest brag?